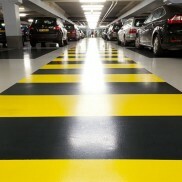 Slippery floors create one of the most memorable features of the typical underground carpark. The incredible squeal made by car tyres when navigating on these surfaces, like fingernails down a chalkboard this sound is very high pitched and can even hurts the ears. Have you ever wondered what actually makes the noise and why it happens? The answer is the same reason the surface is incredibly slippery if exposed to any type of liquid. The squeal you hear is in fact your tyres sliding on the surface when changing direction. Because the surface is so slippery the rubber can’t grip effectively and so the tyre creeps sideways causing the sound you hear. 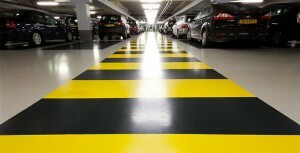 So why do carpark surfaces have a coating that reduces the grip of your tyres you may well ask…. It’s very simple really, it helps keep the surface clean and looking good, however the tradeoff for this visual appeal is a surface that if exposed to water or even fine dust provides the traction of an ice skating rink. Unfortunately this shortfall is often accepted until the first slip fall accident when the victim heads down the litigation path looking for compensation for medical expenses or even worse chasing a public liability payout. These smooth layers applied to a concrete base can be anything from water based sealer to an epoxy coating, but whatever they are their primary job is to prevent motor oil and other stains from penetrating and staining the natural light grey concrete color. This feature often leaves the anti slip qualities of the coating well down on the features list. 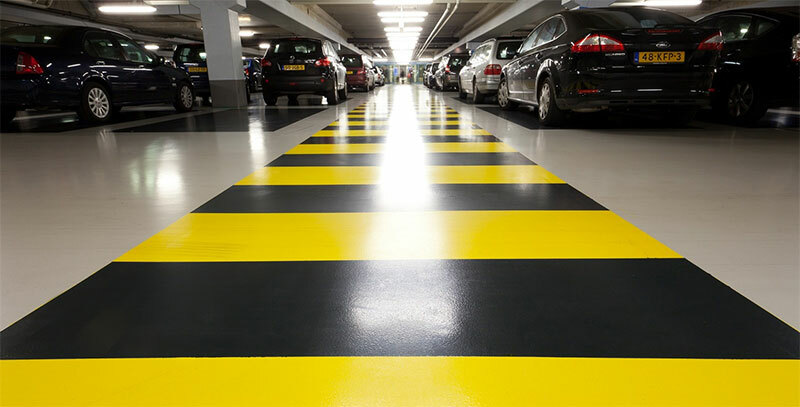 Fortunately there a few excellent options available to reduce the slip fall litigation risk for car park surfaces, so if you need assistance or a competitive quote contact us today.